Early Career Research Contributions Award​. Society for Research in Child Development. ​Susan Nolen-Hoeksema Early Career Research Award. The Society for a Science of Clinical Psychology. American Psychological Association, Division 12, Section III. Most Valuable Professor (February 2018). Stony Brook University (Athletics). Transformative Contributions Award. Autism Spectrum & Developmental Disabilities Special Interest Group, Association for Behavioral & Cognitive Therapies​. Biobehavioral Research Award for Innovative New Scientists. National Institute of Mental Health. Simons Investigator. Simons Foundation Foundation Autism Research Initiative. Teacher of the Year. Department of Psychology, Stony Brook University. Visiting Scholar. Center for Health Innovation, Adelphi University. Rising Star. Association for Psychological Science. Director’s Early Independence Award: Finalist. National Institutes of Health (NIH). Young Investigator Award: Best Clinical Empirical Paper of 2013. International Society for Autism Research (INSAR). $1,500. National Institutes of Health (NIH) - Director’s Early Independence Award: Nominee. Stony Brook University-wide search. Best Submission & Keynote Address Winner – 2013 Autism Spectrum & Developmental Disorders Special Interest Group (ASDD SIG). Association for Behavioral and Cognitive Therapies (ABCT). Dissertation Award: Best Clinical/Behavioral Dissertation of 2012. International Society for Autism Research (INSAR). $1,500. Elizabeth Munsterberg Koppitz Child Psychology Graduate Fellowship. American Psychological Foundation. $25,000. SPR Student Travel Award. Purpose: Purpose: Society for Psychophysiology Research Meeting in New Orleans, LA, September 19 – 23, 2012. $500. Robert J. Huskey Travel Fellowship. University of Virginia. Purpose: Society for Psychophysiology Research Meeting in New Orleans, LA, September 19 – 23, 2012. $400. Graduate Student Achievement Award. Society of Clinical Child and Adolescent Psychology (APA Division 53). $250. Graduate Student Choice Colloquium Winner. Psychology Department. One of three graduate students selected annually to present department-wide Colloquium. Distinguished Teaching Fellowship. University of Virginia. $6,000. UVA Faculty-Senate Dissertation Fellowship. Psychology Department Nominee. SRCD Student Travel Award. Purpose: Society for Research in Child Development Meeting in Montreal, March 31 – April 2, 2011. $300. LIFE Program Fellow Speaker. Selected to represent UVA Fellows at the International program on lifespan development, International Max Planck Research School. LIFE Program Fellow. International program on lifespan development, International Max Planck Research School. APS Student Grant Competition Award. Association for Psychological Student Caucus. $500. APA Dissertation Research Award. American Psychological Association Science Directorate. $1,000. APA Student Travel Award. Purpose: 118th American Psychological Association Convention in San Diego, CA, August 12 - 15, 2010. $900. Robert J. Huskey Travel Fellowship. University of Virginia. Purpose: World Congress of Behavioral and Cognitive Therapies in Boston, June 2 - 5, 2010. $250. APA Early Graduate Student Researcher Award. American Psychological Association, Science Directorate. $1,000. Association for Psychological Science Student Travel Award. Purpose: Association for Psychological Science Convention in San Francisco, May 22 - 25, 2009. $500. Robert J. Huskey Travel Fellowship. University of Virginia. Purpose: American Psychological Association Convention in Boston, August 14-16, 2008. $250. James H. and Elizabeth W. Wright Endowed Fellow. Jefferson Scholars Graduate Fellowship. $242,000. ​Optimizing Prediction of Social Deficits in Autism Spectrum Disorders (1R01MH110585). National Institute of Mental Health. PI. Electrophysiological Correlates of Social-Emotional Learning in ASD. Brain & Behavior Research Foundation (NARSAD Young Investigator Award #24890). PI. Surveying the Landscape: ‘Usual Care’ for Core Symptoms and Comorbid Psychopathology in ASD. Pershing Charitable Trust. PI. Community Engagement in Deafness and Autism Research (CEDAR). University of Connecticut Public Discourse Project​. Co-PI. 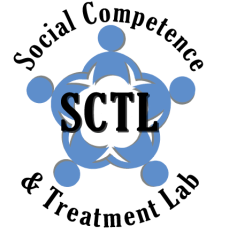 ​A Web-Based Tool to Assess Social Cognition in ASD (SFARI# 381283). Simons Foundation Autism Research Initiative (Explorer Award). Core PI. (Additional PI: Russo-Ponsaran). Theater in School to Promote Youth with ASD - Pilot Study. Arts Connection. PI. ​(Additional PIs: S. Goldstein & S. Paterson). Improving Effectiveness of Behavior Management Strategies at Maryhaven. Maryhaven Center of Hope. PI​. Effects of Emotion Identification. Alan Alda Fund for Communication. PI. Imaging Depression in Adults with ASD (AR130397). Department of Defense (Congressionally Directed Medical Research Programs – Autism Research Program). Co-I (PI: Gadow). 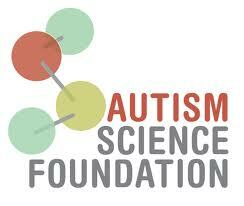 Collaborative on Autism & Sign Language (Inaugural Exploratory Fund Award). American Academy of Arts & Sciences. (PI; Additional PIs: Aronoff, Nelson, Goldin-Meadow). Collaborative on Autism & Sign Language. Nancy Lurie Marks Family Foundation. PI. Conversation on Autism & Sign Language Conference. Nancy Lurie Marks Family Foundation. PI. Building a bridge between research communities: a conversation on autistic communication, sign language, and implications for social interaction. Stony Brook University (FAHSS Research and Interdisciplinary Initiatives Fund). Co-PI (with Aronoff). Deeper Insight: Autism, Sign Language, & Social Communication. Stony Brook University (Dean’s Fund for Excellence). Co-PI (with Aronoff). Deeper Insight: Autism, Sign Language, & Social Communication. State University of New York (Conversations in the Disciplines Program). PI. Cognitive Consequences of Emotion (1252079). National Science Foundation. Consultant (PI: Clore). Pathways Social Skills Program. Virginia Institute of Autism. Program Design & Development Consultant. Jefferson Public Citizens Award. University of Virginia. Graduate Student Advisor. Transition Outcomes Research Award. Commonwealth Autism Services. PI. Social Skills Intervention Research. Norfolk Public Schools. PI. University of Virginia Department of Psychology, Child Study Center. Autism Consultant. Drama-based social pragmatics intervention for adolescents with Asperger’s Syndrome: Pilot Effectiveness Study. Deborah Munroe Noonan Memorial Fund, The Medical Foundation. Co-PI. Community Spirit 9/11 Mini-Grant. Harvard Pilgrim Foundation. PI.